Adam is back to contributing to the blog, at least by proxy. 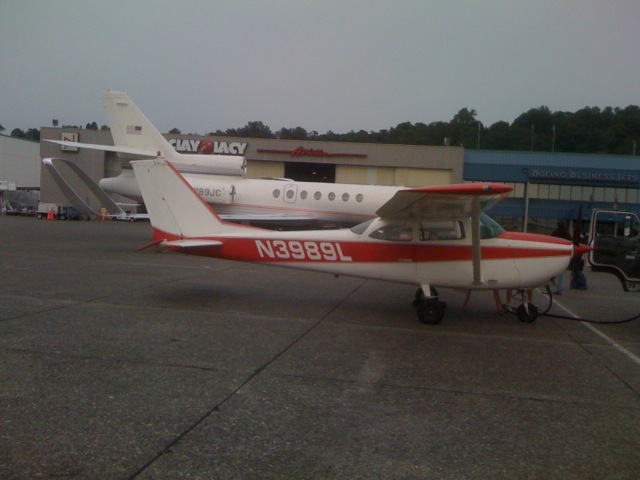 Just behind Adam’s plane (N3989L, with the snazzy red paint job) you can see the wingtip of the business jet. It’s a loop of some sort. I’ve never seen anything like it. Neither had Adam, which is why we have a snap of it.